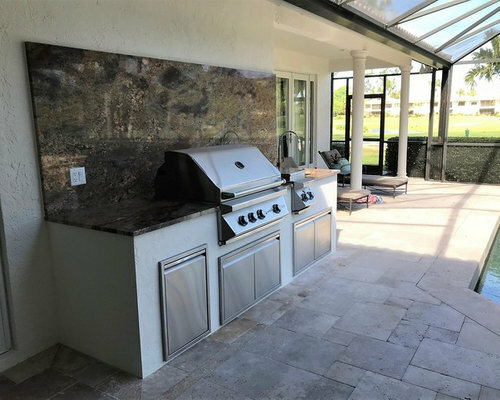 This aging outdoor kitchen was detracting from the amazing makeover my stylish clients from Montreal had directed on their "Quail Ridge Country Club" estate 'winter home,' in Boynton Beach, Florida. So, I created a more contemporary, well-balanced design, with clean lines, that better reflected the updated, contemporary nature of their beautiful home! 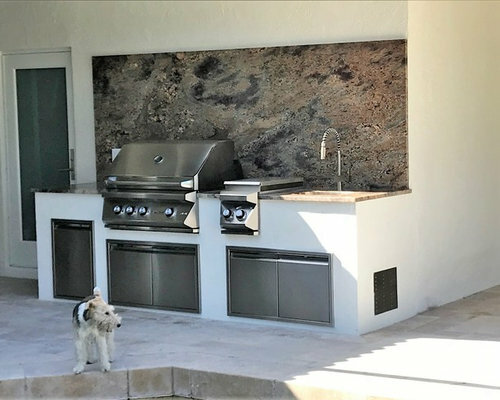 As this was the prominent 'feature-wall' at the end of the screen-covered pool terrace, which fronted the golf course, the design had to be striking and clean, to become the centerpiece of the entire space. 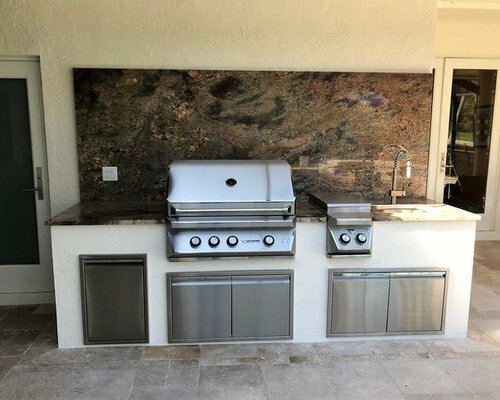 The front elevation showcased the very artistic granite species selected by my client, which I designed to be extra height to increase the dramatic presentation of the superior commercial grade grill, double burner, sink faucet set, and the sleek access doors and double trash center below! 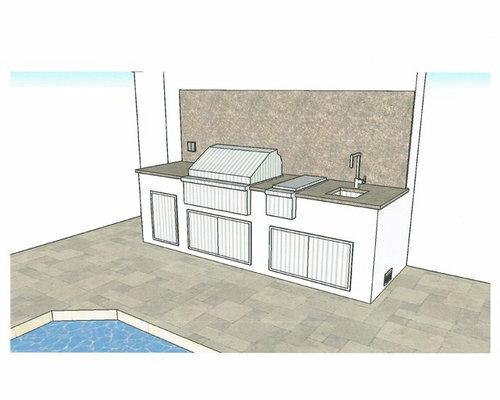 This right-quarter elevation reveals the perfect integration of the outdoor kitchen structure with the home, using sharp, right angle, contemporary lines, and the very sculptured, stylish and clean line nature of the grill and accessories!